Feneyjanefnd Evrópuráðsins stóð fyrir alþjóðlegri ráðstefnu í Alsír um konur á vinnumarkaði í samvinnu við stjórnlagadómstólinn í Alsír dagana 7. og 8. nóvember. Herdís Kjerulf Þorgeirdóttir varaforseti Feneyjanefndar opnaði ráðstefnuna ásamt Mourad Medelci forseta stjórnlagadómstólsins og Ghania Eddalia ráðherra félags- og fjölskyldumála. Fjölmargir þátttakendur voru á ráðstefnunni þ.á m. sérfræðingar frá Arabaheiminum: Marokkó, Túnis, Jórdan, Líbanon og Alsír. Einnig sátu ráðstefnu af hálfu jafnréttisnefndar Evrópuráðsins sérfræðingar frá Hollandi, Frakklandi og frá Íslandi Rósa Guðrún Erlingsdóttir, deildarstjóri jafnréttismála í Velferðarráðuneytinu. Hún lagði áherslu á það í fyrirlestri sínum að Íslendingar stæðu fremstir þjóða í jafnréttismálum og kynnti m.a. innleiðingu staðals um launajafnrétti í fyrirtækjum með fleiri en 25 starfsmenn. Algiers, Algeria – In cooperation with the Algerian Constitutional Council and the Directorate General of the Civil Service and the Administrative Reform of Algeria (DGFPRA), the Venice Commission is organising, from 7 to 8 November, the 6th UniDem Med Regional Seminar. 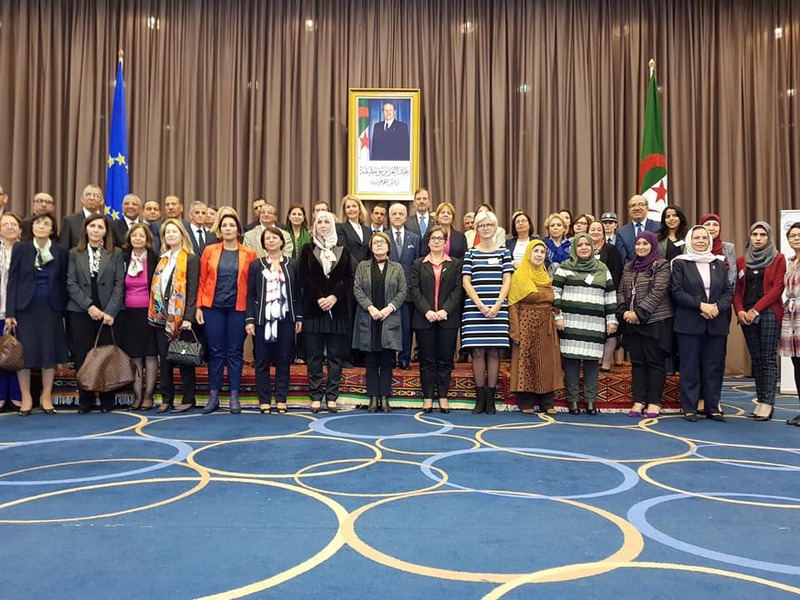 The seminar entitled “Women and the labor market” will take place in Algiers (Algeria) and will bring together senior officials and experts from Europe and the Southern the Mediterranean – Algeria, Jordan, Lebanon, Morocco, Palestine and Tunisia. The seminar will discuss issues related to the principles of equality, the constitutional and legal framework and good practices in the area of women’s empowerment in the civil service and in the economic sector. The main objective of the UniDem Med campus (University for Democracy) is to contribute by peer-to-peer exchanges to the modernization of the administration in the South of the Mediterranean by applying the law and consolidating the institutions. The project aims to strengthen the legal capacity of senior officials in areas related to good governance, the rule of law and human rights, as well as to strengthen the links between the public administrations of the region. The seminar is funded by the joint Council of Europe-European Union program “Towards strengthened democratic governance in the Southern Mediterranean. Sjá umfjöllun fjölmiðla í Alsír hér .